Due to overwhelming demand, we've reprinted a limited amount for fans that may have missed these at the show! Black unisex tee features tour logo on front and 2018 North American tour dates on back. Made with high quality soft organic cotton. Shirt is super soft and runs true to size!! Love it!! ??JBT!! 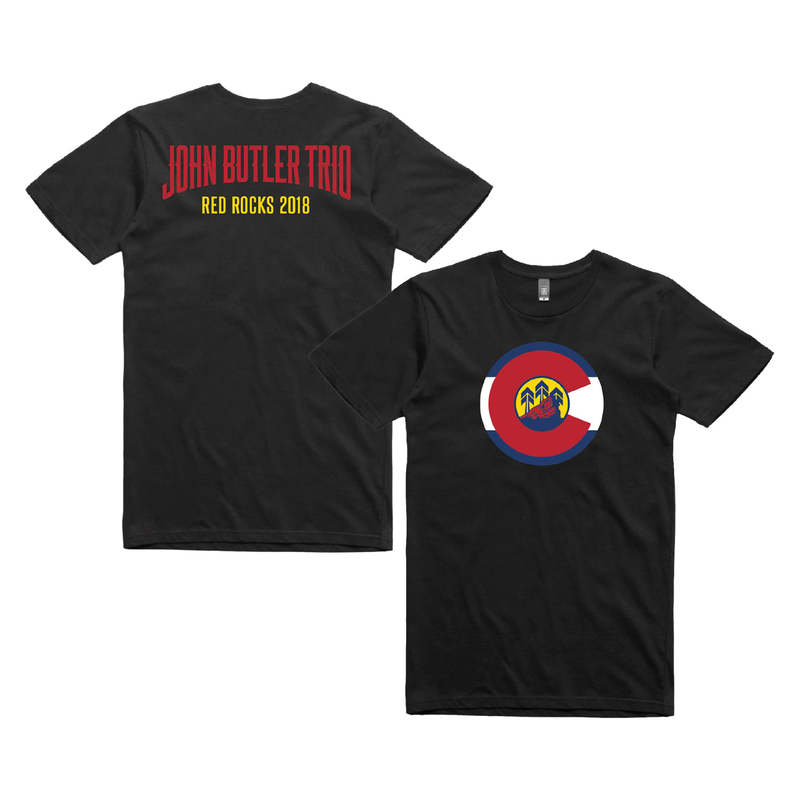 This comfy shirt displays Colorado pride, the amazing Red Rocks venue, and of course, JBT. What more could you want from a t-shirt? Thanks JBT for rolling out this design. It’s fantastic!